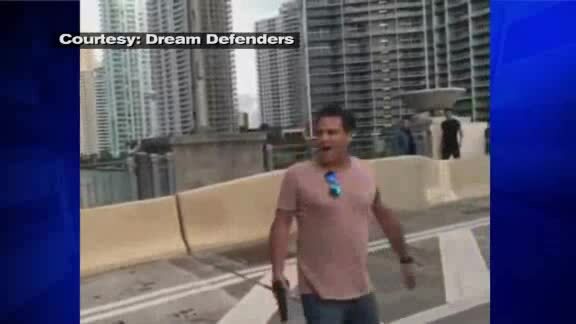 - Miami prosecutors are investigating as a possible hate crime a traffic incident involving a gun-wielding white man and a group of black bicyclists on Martin Luther King Day. MIAMI (AP) - Miami prosecutors are investigating as a possible hate crime a traffic incident involving a gun-wielding white man and a group of black bicyclists on Martin Luther King Day. State Attorney Katherine Fernandez Rundle said in a news release Tuesday that she has ordered her hate crimes chief to look into Monday's confrontation. A police report says the cyclists blocked part of a major street to protest plans for a private development to displace affordable housing in a financially struggling neighborhood. A video posted by news outlets shows a woman yelling at the group and 51-year-old Mark Bartlett running up with a handgun and hurling racial slurs at the cyclists. Bartlett so far is charged only with a weapons violation. Court records do not show whether he has an attorney.